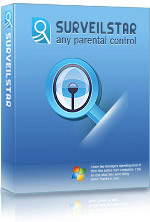 Big Sale: Buy Single License of SurveilStar Any Parent Control at Only $29.95 and Save $20! Buy Single License and Save $20 Now! We partner with PayPal and Avangate to provide safe and easy online shopping experience. They are trusted order and payment solution providers. You can choose either of them to process your order. Copyright © 2011 SurveilStar Inc. All Rights Reserved.